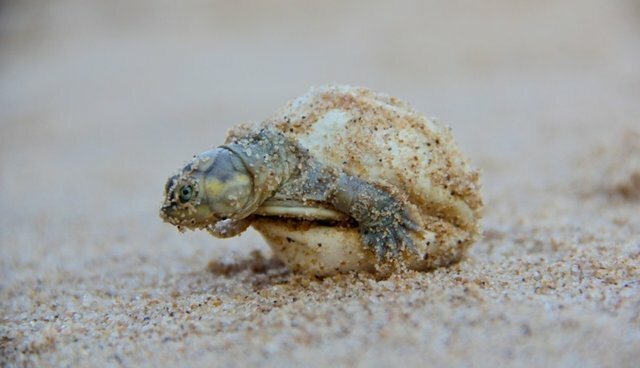 An estimated 210,000 giant South American river turtles were born in a mass hatching in Brazil's Abufari Biological Reserve this week, which conservationists were able to capture in a series of stunning photographs. 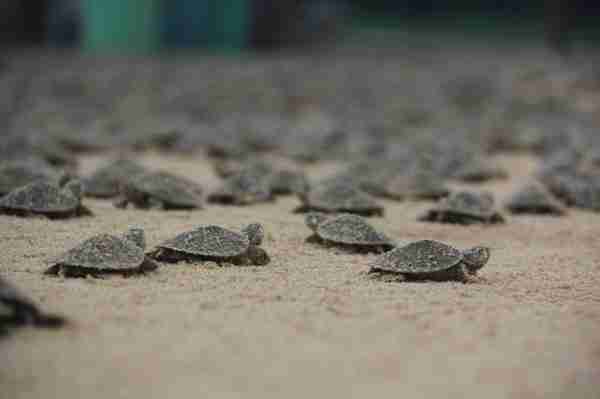 According to the Wildlife Conservation Society (WCS), researchers also managed to achieve a different momentous capture: they were able to mark 15,000 of the newborn turtles for later recapture, which could greatly assist in future conservation efforts. 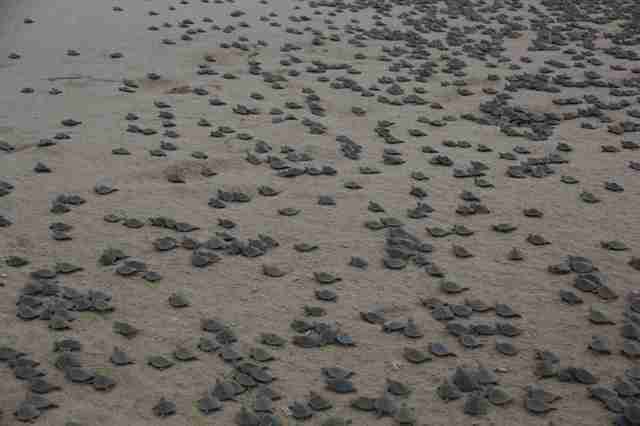 "Turtles are among the most endangered species of vertebrates in the region and worldwide," Julie Kunen, the executive director of WCS's Latin America and the Caribbean Program, said in a statement. 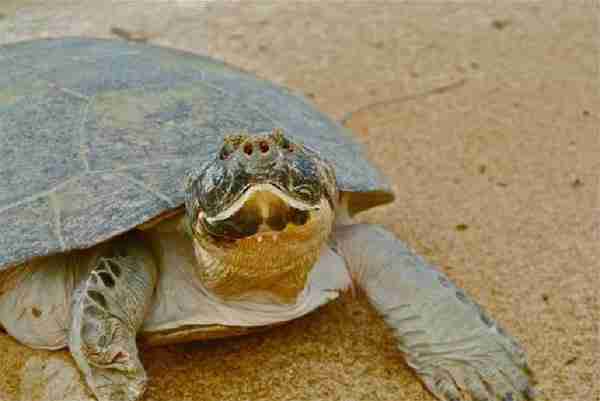 "Monitoring programs for these and other turtles and tortoises will provide a foundation for sound management plans in the years to come." 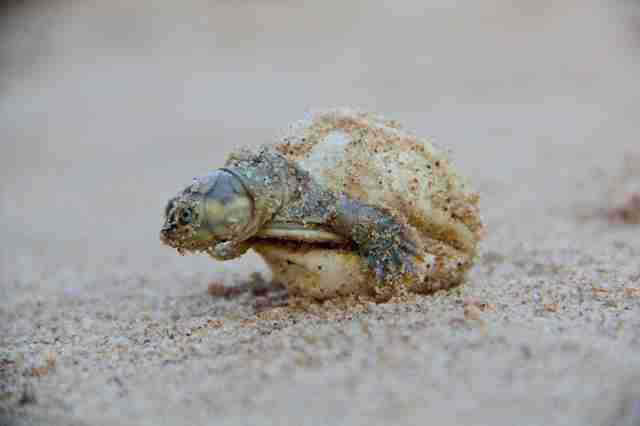 According to WCS, the mass hatchings are an evolutionary tactic that allow the giant turtles -- which can grow up to three feet in length -- the greatest chance of survival. 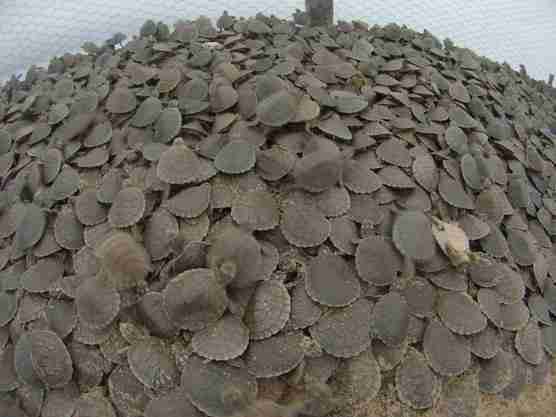 In addition to natural wild predators, the species is severely threatened by unregulated consumption of its meat and eggs in villages surrounding its Amazon basin habitat.